Protein supplements are continuing to rise in demand, with the global protein supplement market expected to reach $33.9 billion by the year 2020. The protein supplement market seems to be expanding beyond the needs of extreme body builders and gym fanatics. Busy mums, vegans, vegetarians and people who live an active lifestyle, as well as dieters are also jumping onto the protein powder/supplement band wagon. With this increased demand and the diverse needs of consumers, the protein options seem to be almost endless. 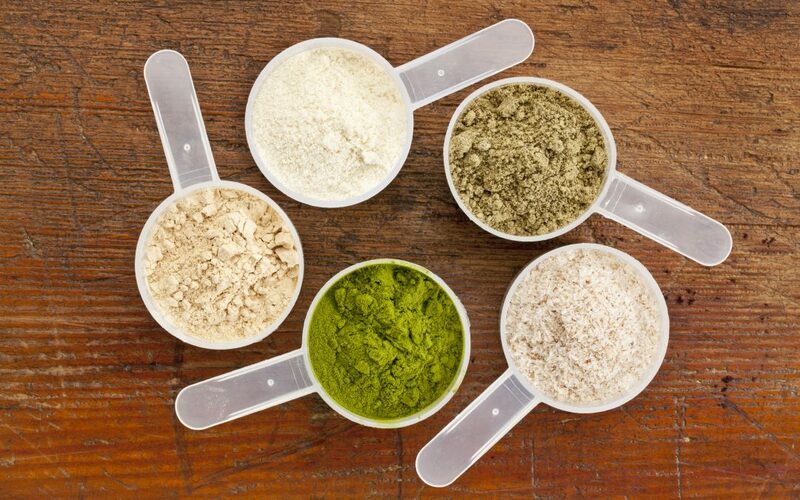 From whey to soy, casein, hemp, pea or rice based protein powders; there are so many different varieties of protein powders to choose from. The marketing of these products from supplement companies and some health professionals is overwhelming and can leave consumers feeling more confused than ever before. The RDI of protein for women aged 19–70 years is 46 grams per day. The RDI of protein for men aged 19-70 years is 64 grams per day. Women over 70 should have at least 57g per day. Men over 70 should have over 81g per day. 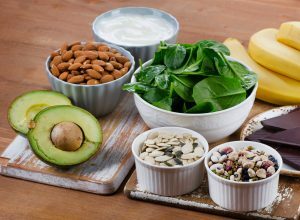 My main concern with people who focus on taking protein powders/supplements is that they may begin to displace other valuable, nutrient-dense foods such as fruit and vegetables or other important nutrients such as quality fats and fibre from the diet. 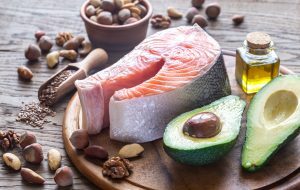 The liver and kidneys can also be put under stress/strain when too much protein is consumed because they have to detoxify and eliminate higher amounts of protein byproducts. Lastly, many people are unaware as to some of the additional dubious ingredients they are consuming in some of these protein powders/supplements. 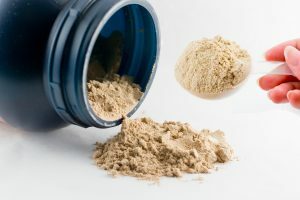 Let’s take a closer look into some of the ingredients contained in some of the most in-demand types of protein powders that are out there on the market, so you can arm yourself with the knowledge required to choose a healthy protein supplement/powder suited to your dietary and lifestyle needs. Is the whey protein from an organic or grass-fed animal source? Is the whey protein coming from cheese or milk? (If it comes from cheese, it has been heated at least twice which in turn denatures the proteins further). What animal is it from – goat, cow, buffalo, camel, yak or a mix of different sources? Are the animals being fed GMO grain products? Are they fed a cocktail of antibiotics and hormones? Has the cow producing the milk for the whey been injected with Bovine Growth Hormone (BGH)? What country is the whey protein concentrate from and has anything else been added? What other ingredients are contained alongside the whey protein? You can easily make your own whey by using good quality organic yoghurt. All you have to do it put the yoghurt in a muslin cloth and the liquid that separates from the yoghurt over the next few hours is called ‘whey’. This whey liquid can be added to smoothies and chia puddings, mixed into dips and more. It is not a concentrate, isolate or hydrolysate, so you know exactly where it came from as you made it yourself. This is not something you can make at home in your own kitchen. It is made in an industrial factory using alkaline and acid washes, with very high temperatures, high pressure and spray drying for the final product. Nitrites, which are potent carcinogens, are formed during the spray drying, and another toxin is formed during the alkaline processing. Numerous artificial flavourings, particularly MSG, are added to soy protein isolate and TVP (Textured Vegetable Protein) products to mask their natural taste. In some studies, the consumption of soy protein isolate increased requirements for vitamins E, D, K and B12 and created deficiencies in calcium, magnesium, manganese, molybdenum, copper, iron and zinc. Soy Protein Isolate is the key ingredient in many soy protein powders and protein bars. My advice is to check all your food products and avoid this ingredient. If you would like to read more about soy and the negative affects it can have on the microbiome, hormones, thyroid function and more, read my blog ‘Soy – Is it as healthy as you think?’. Are there vitamins and minerals contained and are they natural or synthetic? To find out whether a vitamin or mineral is synthetic, there are a few rules of thumb. If the vitamin ends in ‘ate’ or ‘ide’, it has a synthetic source rather than food source. The source can be acetone, coal tar, nicotine, alloxal, petrochemicals and keto acid. If ‘dl’ precedes the vitamin name – it is synthetic. Read this blog ‘Vitamin & Minerals Supplements – To take or not to take’ to find out more information regarding synthetic vitamins and minerals. amyl acetate, amyl butyrate, amyl valerate, anethol, anisyl formate, benzyl acetate, benzyl isobutyrate, butyric acid, cinnamyl isobutyrate, cinnamyl valerate, cognac essential oil, diacetyl, dipropyl ketone, ethyl acetate, ethyl amylketone, ethyl butyrate, ethyl cinnamate, ethyl heptanoate, ethyl heptylate, ethyl lactate, ethyl methylphenylglycidate, ethyl nitrate, ethyl propionate, ethyl valerate, heliotropin, hydroxyphenyl-2-butanone (10 percent solution in alcohol), α-ionone, isobutyl anthranilate, isobutyl butyrate, lemon essential oil, maltol, 4-methylacetophenone, methyl anthranilate, methyl benzoate, methyl cinnamate, methyl heptine carbonate, methyl naphthyl ketone, methyl salicylate, mint essential oil, neroli essential oil, nerolin, neryl isobutyrate, orris butter, phenethyl alcohol, rose, rum ether, γ-undecalactone, vanillin, and solvent. So when you read flavouring of any type in your protein supplement/powder or shake, don’t think it is just one ingredient; it can be made of around 48 chemicals and ingredients. What sweeteners are used? : I’ve noticed lots of artificial sweeteners in protein powders such as Sucralose which is basically sugar that has been modified by adding chlorine atoms. This synthetic compound is created when sugar is treated with trityl chloride, acetic anhydride, hydrogen chlorine, thionyl chloride and methanol in the presence of dimethylformamide, 4-methylmorpholine, toluene, methyl isobutyl ketone, acetic acid, benzyltriethylammonium chloride and sodium methoxide.Sucralose has been implicated as the cause of many side effects, including: skin rashes/flushing, panic-like agitation, dizziness and numbness, diarrhoea, swelling, muscle aches, headaches, intestinal cramping, bladder issues, stomach pain. I recently wrote a blog called ‘Unmasking Hidden Sugars’ which I would highly recommend you read so you can get a better understanding of which types of sugars and artificial sugars we recommend avoiding. Soy lecithin: today it is most commonly used as a food emulsifier in many foods and it also extends the shelf-life of many products which increases the profitability of processed foods. It is commonly found in chocolate, infant formula, supplements, teas and salad dressings. To make soy lecithin, soy bean oil is extracted from the raw soy beans using a chemical solvent. Then it goes through a degumming process where water is mixed thoroughly with the oil until the lecithin becomes hydrated and separates from the oil. Then the lecithin is dried and occasionally bleached with hydrogen peroxide. Many of the protein powders are heavily processed and are heated to high temperatures; the proteins are chemically isolated, not to mention the additives, colours, flavours, preservatives and more that can be added into the mix. Nature did not intend for protein to be wholly isolated from its original form. Sally Fallon explains in her book ‘Nourishing Traditions’ that protein cannot be utilised without dietary fats. This is why nature always pairs proteins and fats together such as; eggs, milk, fish, meat, nuts and seeds. When these begin to get separated from their original natural fat source, vitamin A, D, E and K depletions can occur. 5. Is there hidden wheat? Glutamine peptides and hydrolysed plant and vegetable proteins can be made from hydrolysed wheat protein. They’re cheaper than whey protein, which is why some companies dilute their products with them. Pay close attention to your protein powders, as whey protein concentrate and whey sodium caseinate can also contain sources of gluten. This is why it’s always recommended to read and re-read the ingredients list so you can be sure. Both the quality and quantity of protein in our diet plays an essential role in our health. My hope is to educate you as to what is in some of these protein powders, so you can be armed with the knowledge to make the best and healthiest choices for YOU. It is beyond the scope of this blog post to look at all protein powders that are out there on the market. Some are OK, but it is a matter of reading the ingredients, being educated about each of them and knowing where they come from, what they’re derived from and are they from a reliable/trusted source? Changing Habits Inca Inchi Protein Powder; is a natural single ingredient protein powder that is 60% complete protein. The inca inchi protein powder is highly digestible, low-irritant as it comes from a seed and it’s a high quality protein. It’s also suitable for vegans and vegetarians. Add it to smoothies, bliss balls, slices, cakes, cookies, choc slices and more. Collagen Powder; collagen is 97% pure protein and is an adaptable way to increase your intake of highly digestible, nutrient-dense protein. It also aids in; boosting mental clarity, reducing inflammation, supports muscles and bones and is fantastic for refuelling after exercise, satiation of hunger, aids with a deeper sleep, liver detox and it’s a natural mood booster. Add it to your smoothies, chia puddings, slices, cakes, pancakes, hot drinks such as tea or coffee or bone broth as it dissolves really easily and has no flavour. Hemp Protein Powder; is rich in amino acids (it contains 20 of them!) and essential fatty acids that the body is unable to produce on its own. It’s a great option for vegans and vegetarians, and is a great way to boost your protein intake. It’s also been found to boost the immune system and reduce sugar cravings as it helps to regulate blood glucose. You can use hemp protein powder like any other protein powder; add it to smoothies, bliss balls, pancakes, brownies, granola and more. Gelatin Powder; sourced from healthy animals, gelatin is an extremely nutrient dense food and contains numerous benefits such as; pure protein source, improves digestion, helps support skin, hair, nail and teeth health, tightens loose skin and improves cellulite, aids liver detoxification and more. Unlike collagen, you can’t simply add gelatin to your smoothie in the morning; it needs to be added to hot liquids to be dissolved because of its gelling (or setting properties). We recommend adding gelatin to your broth, soups, stews, hot drinks like hot chocolate or even coffee. Pastured eggs; try hard boiled eggs for an easy, quick and healthy fast food snack. Eggs are one of nature’s nourishing treasure chests containing high quality and easy to digest protein. Most of the nutrition is found in the egg yolk. The yolk is loaded with B vitamins, Omega 3’s, zinc, fat soluble vitamins A, D, E and K, bioflavonoids, powerful antioxidants, phosphorous, selenium, calcium, zinc iodine, sulphur and brain fats like choline. Choline is also essential for the liver to function and for the health of the nervous system. Unless you are allergic to eggs, we recommend they be an important part of your diet. Grass-fed pemmicin or jerky; this is a traditional ‘meal on the go’ and many travellers used to carry it with them on long journeys or long hikes through the mountains. Pemmicin is usually a combination of tallow, meat, spices and salt. Jerky is probably the more ‘fashionable’ of the two, however make sure you read the ingredients list as there can be added ingredients which may not be beneficial. If you’re a vegetarian or vegan, here are ‘10 Vegetarian Protein Options’ you can look through. What do you think about protein powders, have they made a difference in your life/ health? Do you have any protein powder recommendations to add to our list? My favourite nutritional support whole food powders in the USA are from Florida-based Garden of Life. I take half doses of “Raw Organic Meal” and “Raw Organic Fit” 5 times a week (skipped on my 2 non-consecutive intermittent fast days). Virtually no sugar, ~25g protein, plus a range of naturally occurring vitamins and minerals. No soy, no whey. I consume two USD $50 cans every 2 months. I’ve heard about Purium of California, but that would at least double my costs without making that much of an improvement in quality so far as I can tell. I’m a low income home health care worker, and some say I spend “too much” on high quality organic-only, almost all vegetarian food (plus pasture-fed eggs, raw milk, raw cheese, liver organ meat for alcohol soluble B-12 vitamins). I call this a manageable expense, unlike medical care which NO ONE knows what it will cost, least of all the providers. Last spring I was checked for a urinary tract infection (UTI). Cost of 10-minute exam + urine test: USD $230. That’s the added cost I now spend on healthy food for a whole month! I’d rather spend it on building up my body than this sort of thing. By the way, I didn’t have anything they could do anything about, since I decided not to take antibiotics. My overall health gave me the resilience to get past whatever I had. It taught me to trust my body so long as I take care of myself properly. The film “What About Wheat” is the best 75-minute summary of all the wisdom I have come across from many sources over the past couple of years, scattered around the Internet, journal articles, etc. It is the single video I recommend people watch, and there are a number of good ones out there (“That Sugar Film”, “Supersize Me”, “Fork over Knife”, etc.). One little suggestion: Please provide authorship of each blog entry. Even if it’s all by Cyndi O’Meara, it’s worth giving attribution!